Over recent years the role of the kitchen has increased in family life. It has developed from a space solely for food preparation to a central room in which family enjoys their meals and spends time together. This is demonstrated by the recent trend in open-plan kitchen designs. 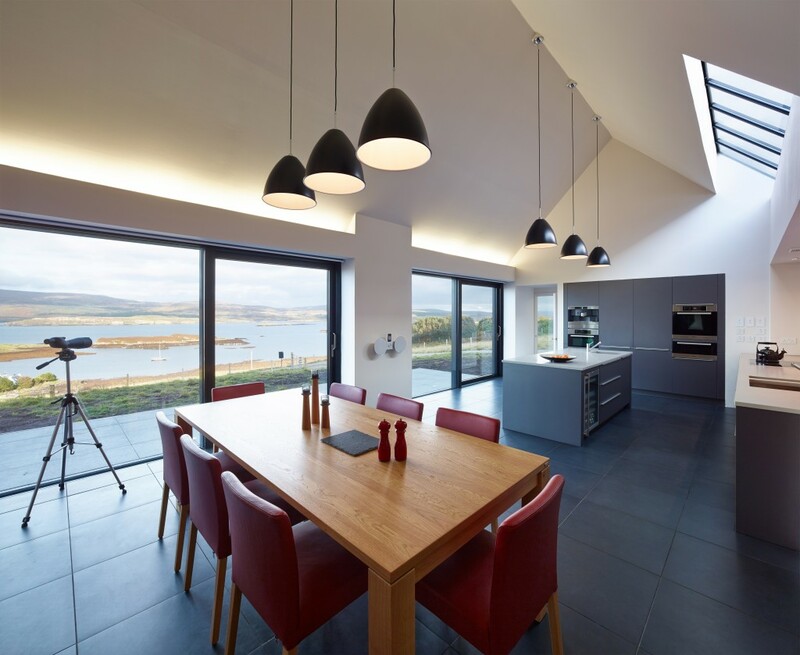 To help you in designing your dream kitchen for your Self Build, we asked Andrew Morren, a bespoke kitchen design specialist from Mihaus UK, for his top tips. FIRST OF ALL, WHAT IS MIHAUS UK LTD AND WHERE ARE YOU BASED? Mihaus UK Ltd are a specialist Kitchen and Bathroom supplier. We currently have two showrooms in Fife. THE ROLE OF THE KITCHEN IN THE HOME HAS CHANGED. CURRENTLY THE KITCHEN IS BECOMING A CENTRAL ROOM WHERE FAMILY MEMBERS SPEND A LOT OF THEIR TIME. DO SELF BUILDERS PAY MORE ATTENTION WHILE DESIGNING THEIR KITCHEN NOW THAN THEY DID IN THE PAST? Yes! In recent years the role of the kitchen has definitely changed within the average household. It is no longer a room for only cooking food, it has became the hub of family living. We have seen a real shift towards kitchen/family/dining rooms where families want to have one large living space which is the centre point of the home. HOW WOULD YOU DESCRIBE THE DIFFERENCE BETWEEN TRADITIONAL AND CONTEMPORARY STYLES? We are discovering that open plan living has changed the stereotypes on kitchen design. Generally, when clients ask for a traditional style they are looking for something along the lines of a wooden kitchen with granite worktops with an AGA being the centre piece of the kitchen. 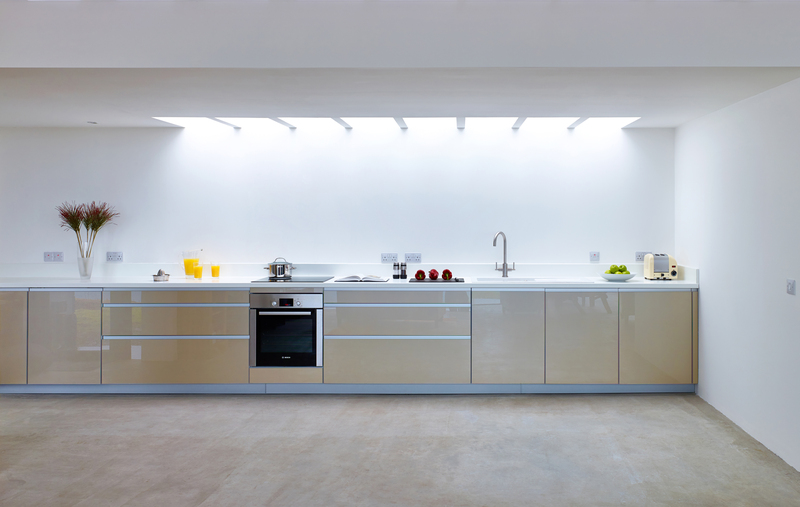 For contemporary style kitchens; clients are after a more modern look with smooth clean lines. AS KITCHEN DESIGN EXPERTS YOU KNOW HOW TO BRING TOGETHER THE FUNCTIONALITY AND THE DESIGN WHEN PLANNING THE KITCHEN. Absolutely, we are always mindful it is not what we want, it is what the client wants and how they are actually going to live in their kitchen. We then design the kitchen looking at the ergonomics of the design styles they like. AT WHAT STAGE OF A SELF BUILD PROJECT SHOULD KITCHEN DESIGN BE CONSIDERED AND WHAT DOES THE PROCESS OF BESPOKE KITCHEN DESIGNING LOOK LIKE? In our view, it’s never too early! We often work with architects at the sketch drawing stage which can then allow for any specific needs of the client to be included from the very beginning. For us it is all about speaking to the client and understanding their needs and how they plan to live in their home. We ascertain where the kitchen is situated in their house and get a feel of their requirements. CAN YOU ADVISE WHAT APPLIANCES YOU WOULD SUGGEST? Again, this depends on the client’s needs but these days a hob, oven, fridge/freezer and dishwasher are seen as basic requirements. We like to take clients around our showroom and give them demonstrations of newer appliances such as steam ovens so they have an understanding of their benefits and how they work. We also advise all our clients to come to one of our “Let’s Cook” demonstrations. HOW DO MIHAUS KITCHENS COMPARE TO OTHER KITCHEN DESIGN SPECIALISTS? 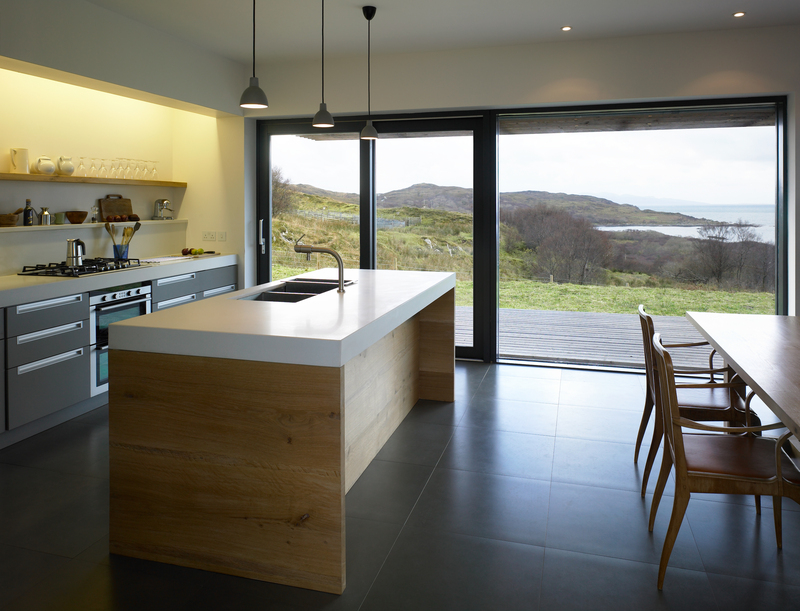 WHAT COSTS ARE INVOLVED IN A BESPOKE KITCHEN DESIGN? The Mihaus design team have years of experience behind them. We specialise in kitchen and bathroom design for the new build sector, which we feel sets us apart. We work closely with a number of architects on kitchen/living space design solutions, so we really are specialists in this sector. We work with all levels of budget so it’s hard to give a figure on costs, but we always aim to give value for money! Our expertise and product knowledge is second to none, working with the leading European brands. WHAT IS THE LATEST PIECE OF TECHNOLOGY THAT WILL BREAK THROUGH INTO THE MAINSTREAM MARKET? Connecting to your appliances via your smartphone when you are not home is creating quite a stir in the marketplace at the moment. You can start your washing machine on the way to work or you can preheat your oven from your desk. But this is just the start of it, soon you will be able to see what is in your fridge while you are at the supermarket. Your cooker will automatically turn on to the correct temperature while following a recipe from your tablet – the possibilities for easier living are endless! YOU WORK ON HIGH END KITCHEN DESIGNS; CAN YOU ALSO PROVIDE BASIC KITCHENS ON A LOW COST BUDGET? Yes. We have a huge variety of clients, we have created kitchen spaces in small cottages and also larger bespoke homes. We also work with housing associations and developers on their multi million pound developments so it would be fair to say whatever the budget we can help. 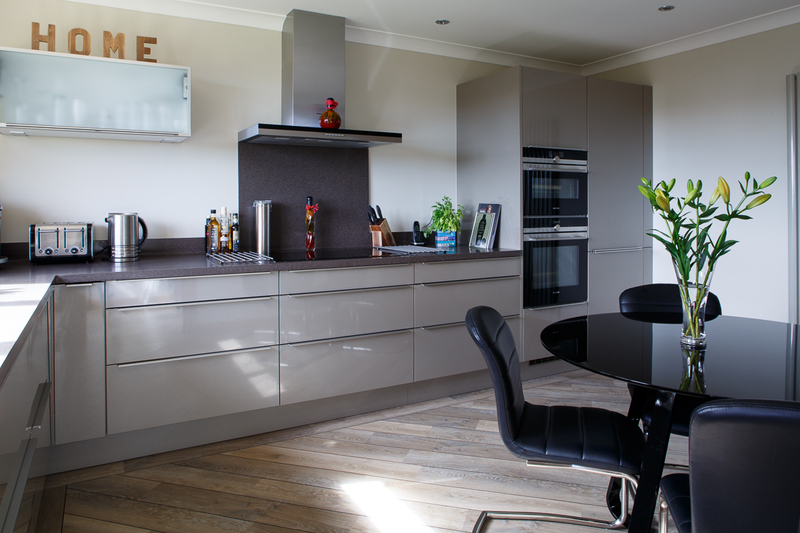 CAN YOU GIVE US AN EXAMPLE OF THE BEST MIHAUS KITCHEN PROJECT YOU HAVE BEEN INVOLVED IN WITH SELF BUILDERS? There are too many favourite projects to mention! 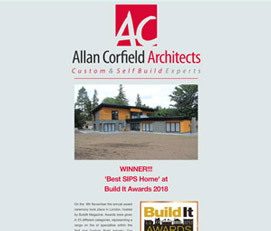 We are particularly proud of the contribution we have made to award winning house in Skye and to a grand designs type project in London. 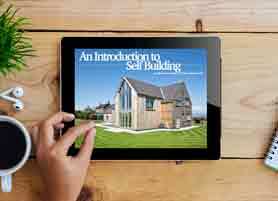 WHAT ARE YOUR TOP 5 TIPS FOR SELF BUILDERS TO CONSIDER WHEN PLANNING A KITCHEN DESIGN? The earlier you start the better – we’re happy to work with architects and give input even at sketch drawing stage, that way we can ensure that all the services are in the right place for the kitchen design. Think about how you are actually going to use your kitchen – what do you normally cook, how do you plan to live in the room, that way we can design a kitchen that will suit your needs? Consider your budget and what you’d like this to include. Think about lighting and how this can be incorporated into the design. What appliances will you actually use? It’s better to invest in the everyday essentials than have gadgets growing dust. We would like to thank Andrew Morren for his cooperation and expert contribution to ACA’s blog. Many thanks to Mihaus UK who have supplied the photography for this article from their portfolio. If you are interested in Mihaus UK services for your Self Build project – why not visit their showroom and discuss the options? The showrooms are located in Dalgety Bay and Glenrothes, and Mihaus UK would be happy to arrange a tour for Self Builders. To arrange an appointment, email enquires@mihaus.co.uk, call the office on 0845 982 5486 or check out the Mihaus website.